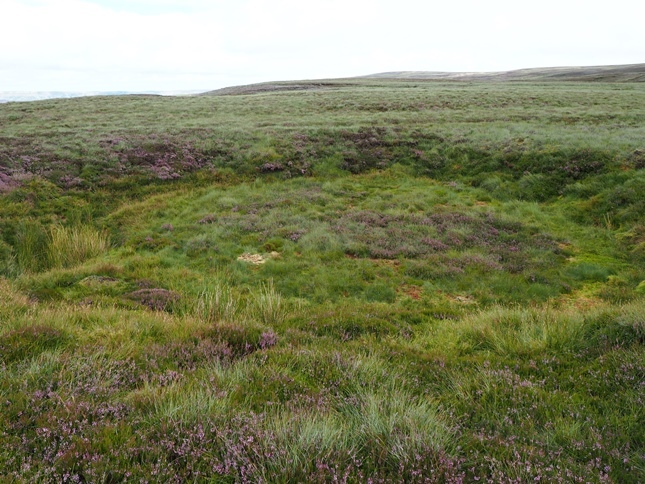 The Sod Dike Tarns are a collection of small tarns east of the wall running alongside Sod Dike on a moorland shelf below the much larger Whitaside Tarn. They are unnamed on the OS Explorer or Landranger maps, the name I’ve given is purely because Sod Dike is the nearest feature on the map. Three small tarns are shown on the OL30 Explorer map. The smallest and the one nearest the wall seems to have dried up a long time ago and is now grown over with heather. 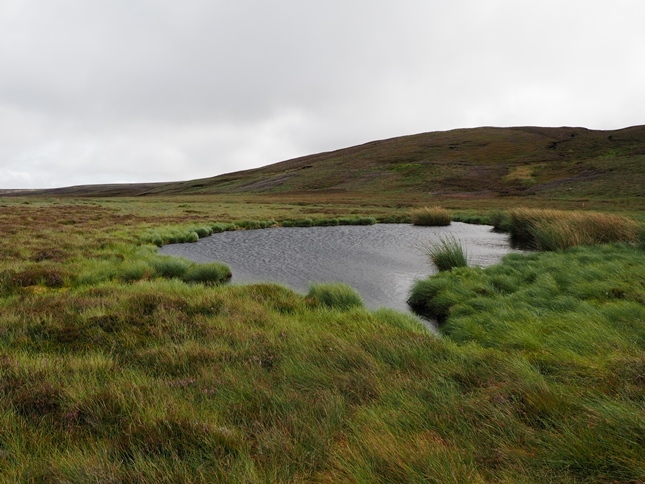 The larger of the remaining two tarns is the one to the east though in this case size is a relative term. 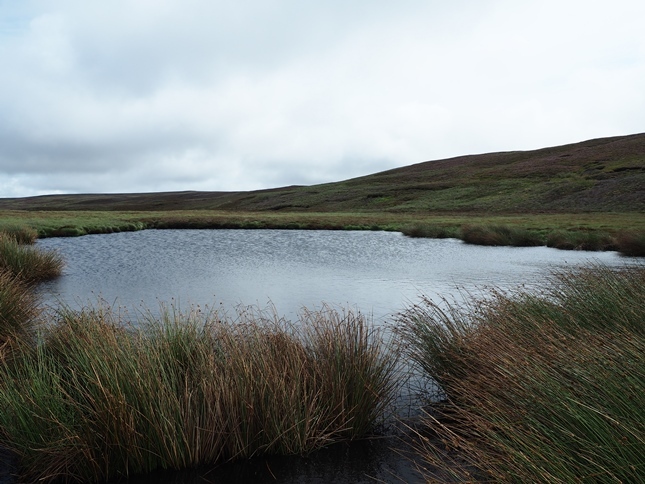 The two tarns can be well seen descending Tarn Brow from Whitaside Tarn to the south. 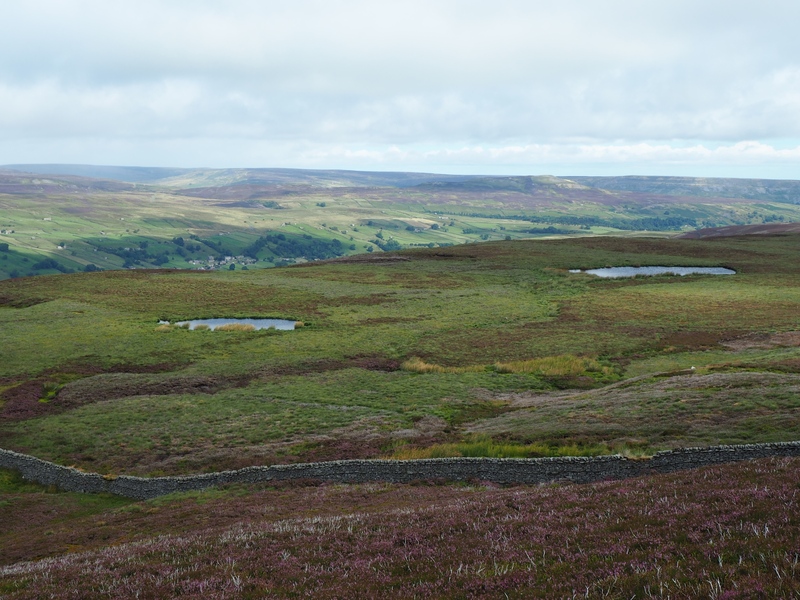 The easiest approach though is to simply follow the nearby wall up from the Askrigg to Grinton road below.